Mumbai, April 5: Global make-up legend Bobbi Brown has picked Indian stars Tamannaah Bhatia and Malaika Arora as her muses for her maiden India tour this month. The 61-year-old is coming to the country for the debut edition of the India Makeup Show (IMS), curated by Brothers Incorporated, founded by Rahul Tuljapurkar and Ninad Shah. Malaika Arora's Latest Picture From Her Maldives Vacay Leaves Netizens Divided Over Her Stretch Marks. 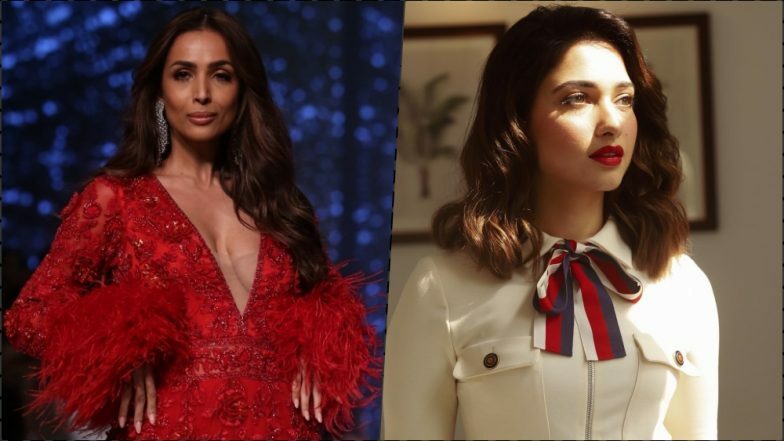 She will conduct an IMS Masterclass with Tamannaah as her muse in Mumbai on April 13 and Malaika as her muse in New Delhi on April 20, read a statement. Three looks -- bridal, evening and editorial -- have been created for the masterclass. "I have always considered Indians to be naturally beautiful. I was very particular on the person who would play my muse since this is my very first masterclass in India," Bobbi said. Tamannaah is elated to be a part of the show with Bobbi. "Bobbi Brown is a timeless icon and a role model to many young women like me. This is such an honour. In fact, I have excused myself from my film commitments in Baku to make this a reality. I will be spending close to 48 hours on the flight to spend those five hours with Bobbi. So you can well imagine my excitement level," she said. To this, Malaika added: "There are a lot of make-up artists I have associated with, but working with someone as iconic as Bobbi is such an honour, especially when it has always been one of the things I wanted to do in my bucket list. I'm very excited to see how she displays her signature no make-up look on me." The event will be hosted in Mumbai on April 12 and 13 at Dome and in New Delhi on April 20 at Hotel Pullman.